Easyflow are market leaders across the Midlands and the North West for all things associated with Liquid Screed and Underfloor Heating. 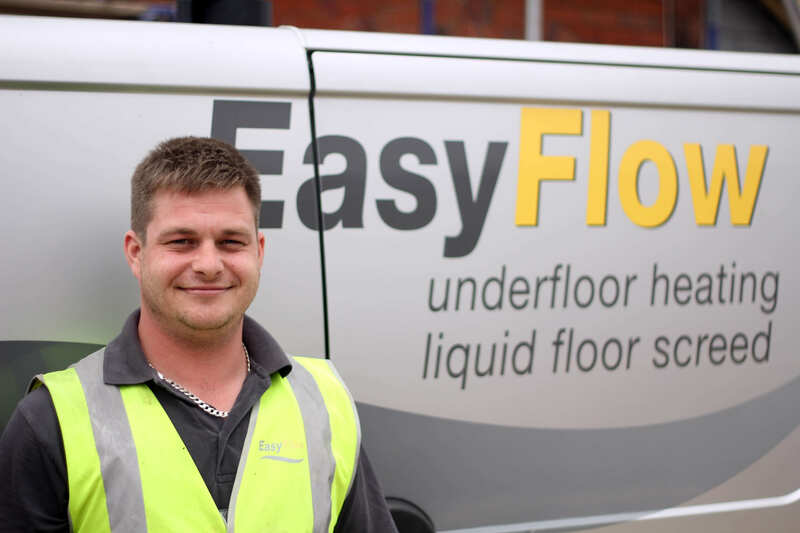 Having established Easyflow in 2012 Richard currently concentrates on building and developing infrastructures that create a customer focused business in all aspects of UFH and Liquid Screed. 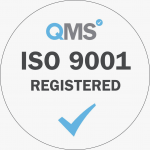 Sales Management/ Marketing and generally overseeing all aspects of business management. Richard has 26 years' experience running sister company SMC Mini Mix Concrete and 5 years managing Easyflow, a business set up on the back of recent recession in the construction industry. "I was looking at different income streams to stave off redundancies at SMC and at the time liquid screed was relatively new and innovative to the UK. The last few years have been a challenge as we try to educate and persuade the industry the way they look at the screed market." Jennifer has been with Easyflow for over 4 years. Jennifer graduated from Wolverhampton University with a 2:1 BA (Hons) in Spanish and Tourism Management in 2008. Since graduating Jen has chalked up 8 years' experience working in various guises within the construction industry, joining Easyflow as a Management Trainee in 2013. As General Manager Jennifer handles the day-today running of the business. She also leads and directs both the site and office teams which means that no two days are the same. In her spare time Jen is an avid cake-taster at her mum's café and enjoys taking her Dachshund puppy on various outdoor adventures. 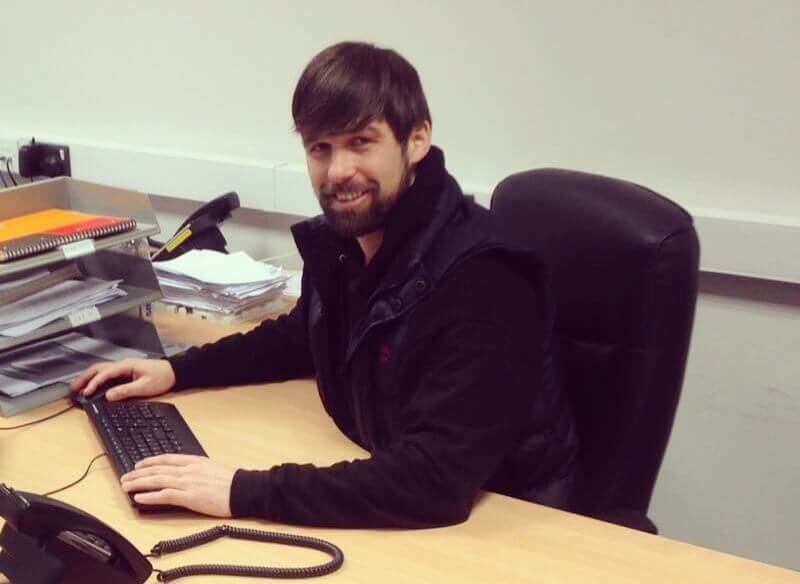 Dean joined the Easyflow team in 2015 as part of the sales team in order to offer customers a dedicated point of contact who specialises in underfloor heating. Dean enjoys working in the office as well as visiting clients on site, this means that he gets a rounded view of both facets of the business. He enjoys working as part of a team, which has been nurtured through his love of both team and individual sports, creating a strong work ethic since childhood. "I enjoy working with Easyflow owing to the good nature and atmosphere with the people I work with. Each Underfloor Heating project is very different which makes each job a different challenge. 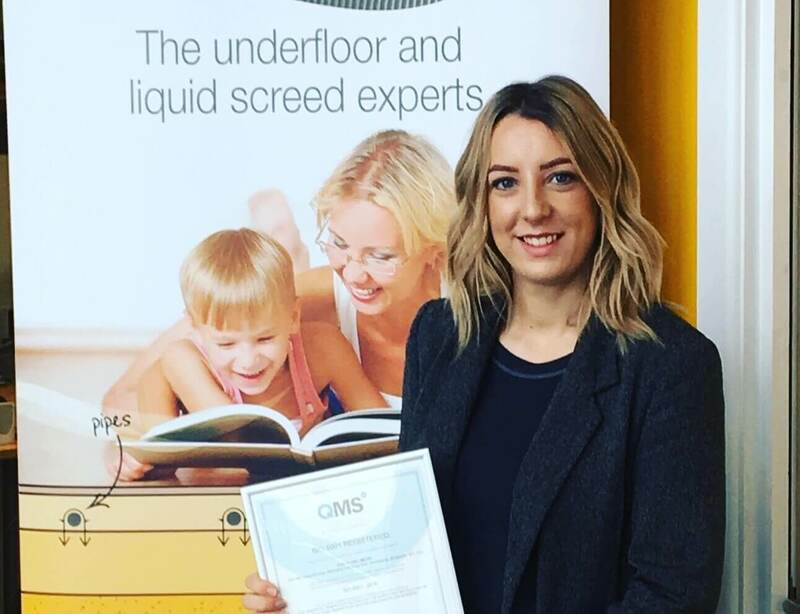 My hopes for the future are to expand my knowledge and experience which should in turn enable Easyflow to grow into a national competitor in the Underfloor Heating & Liquid Screed sector." 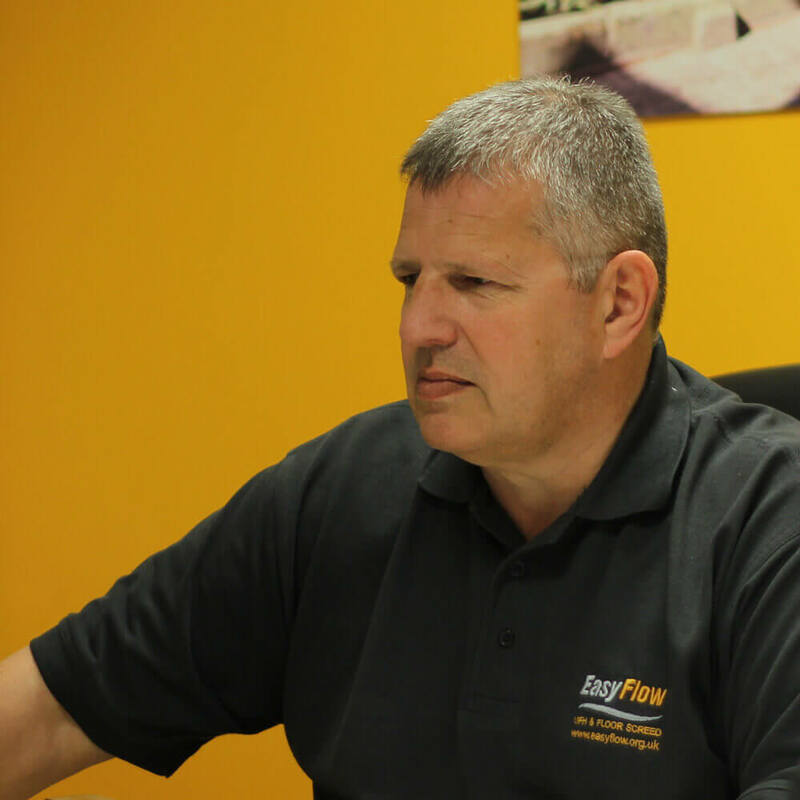 Pat has worked at Easyflow since 2013 but with Easyflow sister company SMC mini concrete since 2011. 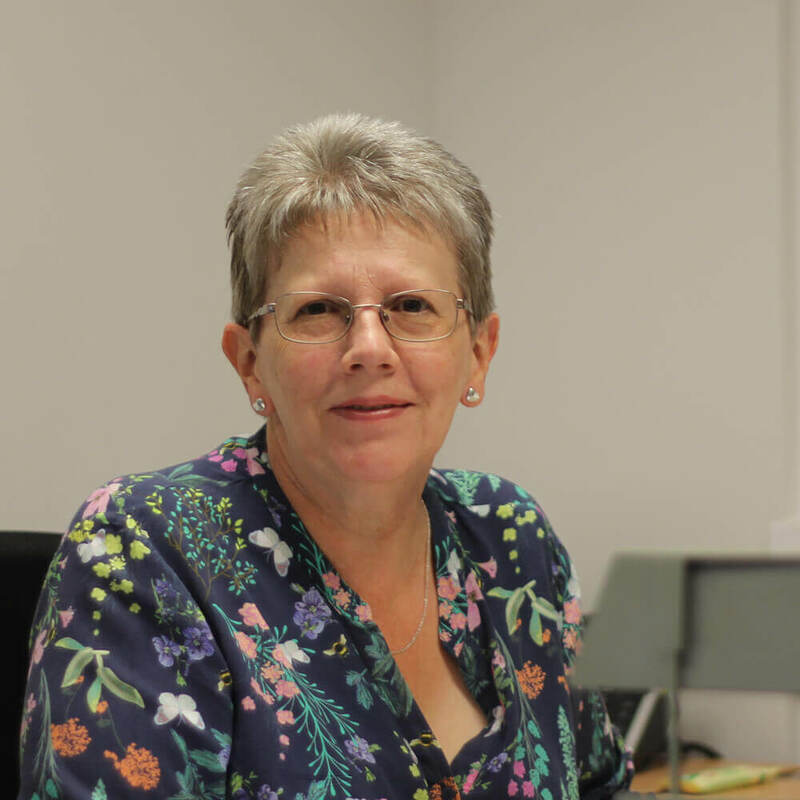 Pat is Part 1 qualified ACCA and RSA Intermediate in Bookkeeping, Pat also has extensive experience in credit control and customer service. Pat enjoys working within Easyflow because all the staff have a professional attitude to the company and all have brilliant sense of humour. The company is achieving great things and she has every confidence they will be achieving many more things in many more years to come under the current management. 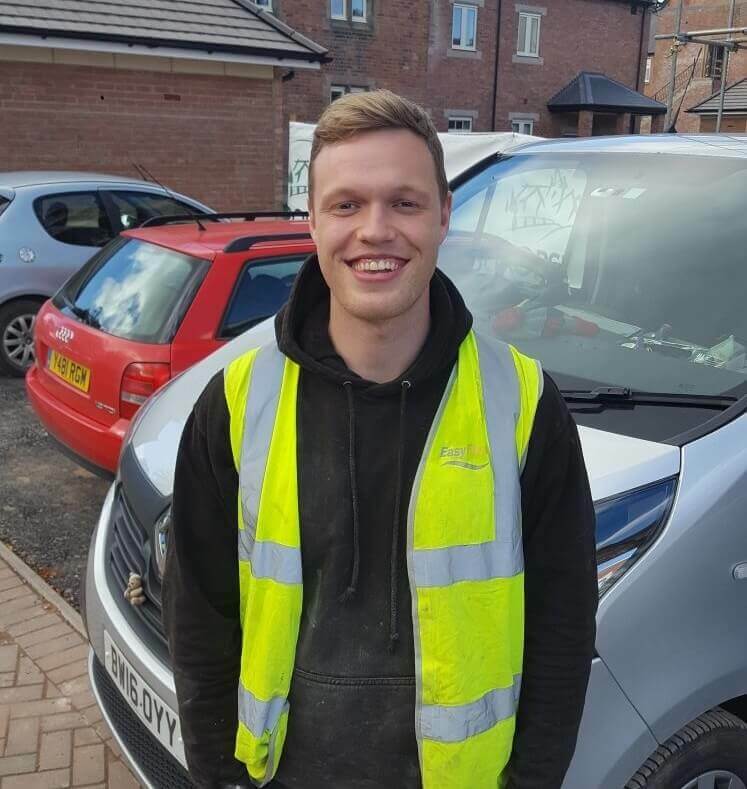 Sam joined the team 3 years ago as a trainee installer, his enthusiasm and professionalism has meant that he has steadily worked his way up through the ranks. A keen sportsman and particularly talented cricketer, Sam plays for Shrewsbury Cricket Club and is in the Shropshire County Cricket squad as well as playing Sunday league football. Having spent a year working as a pump operator with Easyflow, Sean decided he would like to develop his skill set as a liquid screed installer. 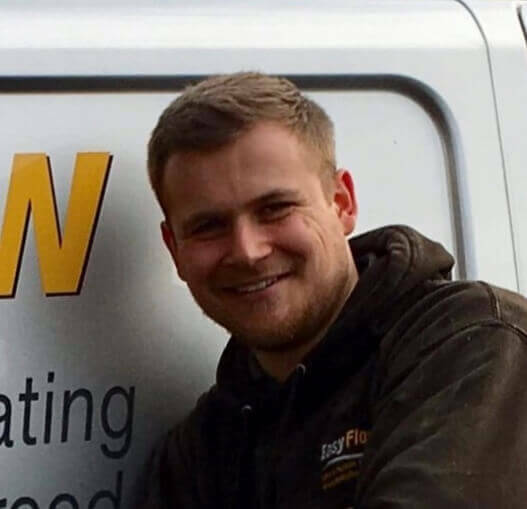 He is now an experienced screeder and leveling compound installer, and we will be sending Sean on an underfloor heating installers course this year. In his spare time Sean spends a lot of time outdoors lamping and fishing as well as camping and caravanning with his wife and two young daughters. 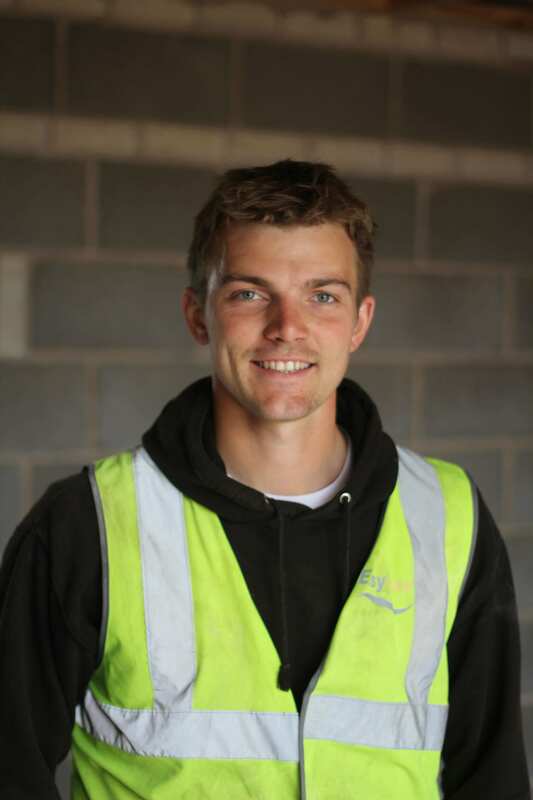 Since joining the team in 2015 Jack has worked hard to become a multi-skilled installer, with experience of laying a variety of different liquid floor screeds, thermal insulation, acoustic resilient layers and underfloor heating. Jason joined the team in 2017 and has made excellent progress taking all training courses and on-the-job experience in his stride. 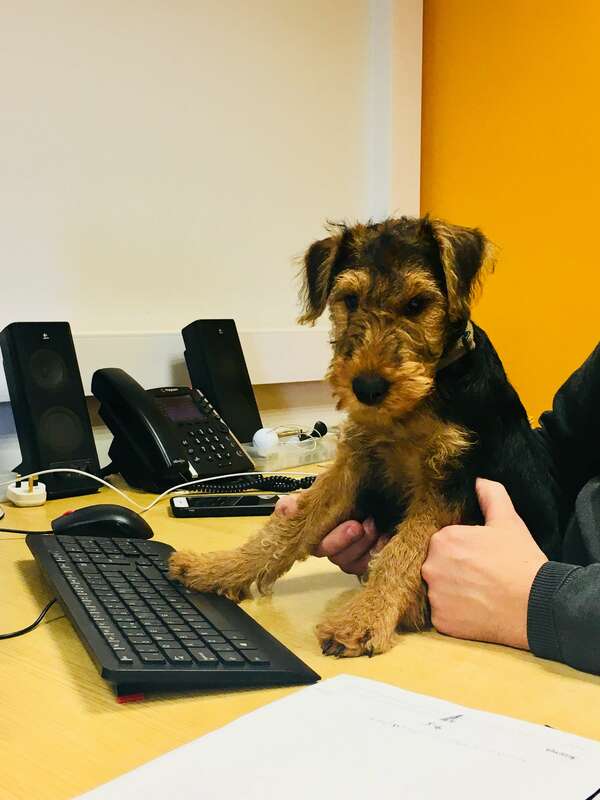 13 week old Welsh Terrier, Dylan, has a paw in all the difficult decisions! Since joining the team in September 2018 he has been keeping his ear to the ground hunting for new business.